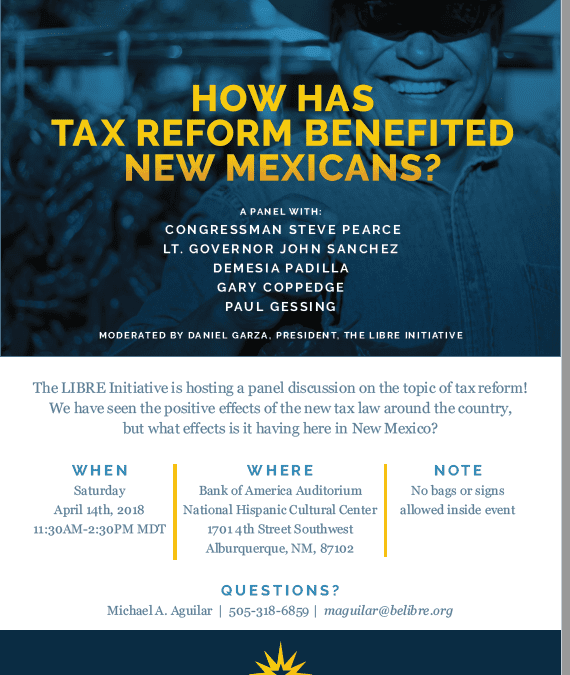 On Saturday, April 14, Rio Grande Foundation president Paul Gessing will be speaking at an event on tax reform being sponsored by the Libre Initiative. 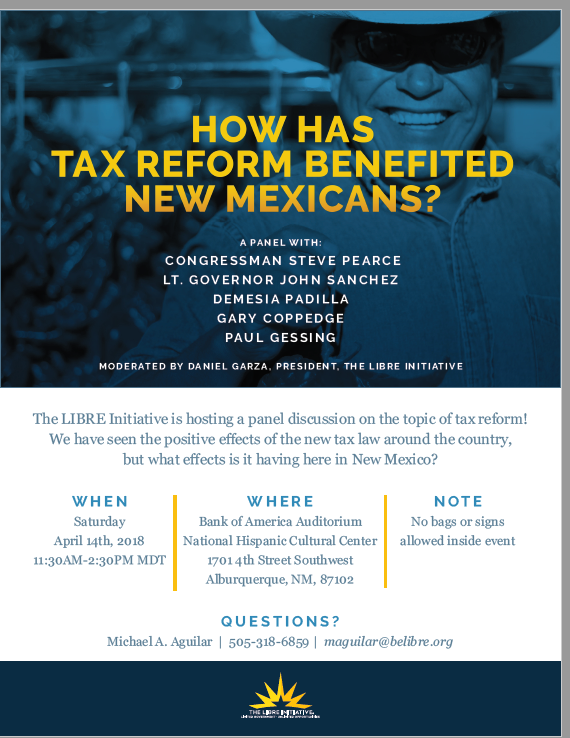 Some panelists will discuss the recently-passed federal tax reforms, but Gessing will be discussing New Mexico’s growth-hindering tax system and what the Legislature needs to do to unleash our State’s economic potential. 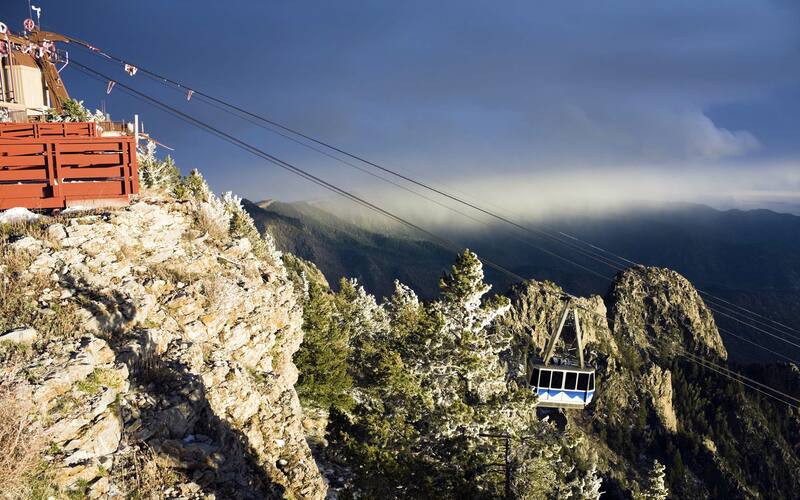 Sign up for this FREE event here!